To encourage the breeding, exhibiting and selling of pure bred bantams. To create a cooperative feeling among the different breeders so as to get better acquainted. To sponsor national, semi-annual, state and special meets so as to build up a greater bantam fancy. To assemble and distribute information on the breeding, husbandry and economic value of bantam chickens and ducks. Policy set by Board of Directors representing all of the United States and Canada - 16 districts. President, vice-president and directors are elected for two-year terms. They in turn appoint a secretary-treasurer to carry out established policy. Membership dues are the same for individuals, partners, couples and families (with no limit on number of children but only one family membership per household). New members receive free copy of latest available yearbook and quarterly. 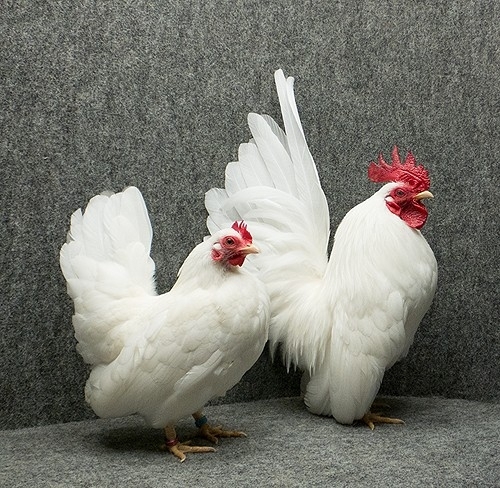 Publication of an authoritative BANTAM STANDARD which gives full descriptions of 57 breeds, 85 plumage patterns and over 400 varieties of bantams and bantam ducks. Licensing of approximately 170 judges in all regions of the United States and Canada. Publication of a QUARTERLY newsletter which features current notifications and news of the Association. It also includes timely articles relevant to current bantam topics in addition to historical perspectives. Publication of an annual yearbook which is included in all memberships. It features an official listing of all members and licensed judges, advertisements from members, educational articles, summary of latest national and meets and a complete listing of all ABA award winners from the previous year.